Stakeholder demands to disclose information on key environmental, social and governance (ESG) sustainability issues have been proliferated like never before. The Global Reporting Initiative (GRI) introduced a new framework in October 2016 under the name The GRI Standards, now recognized as the first and most widely adopted global standard for sustainability reporting. Since the launch, 398 pioneering companies* around the world have joined the movement and implemented the Standards even before they become obligatory by the end of June 2018. Global Sustainability Standards Board (GSSB), a fully independent standard-setting body, developed this more flexible, comprehensive and advanced reporting framework in order to support the efforts of organisations, to efficiently report their impacts on economy, environment, and society. 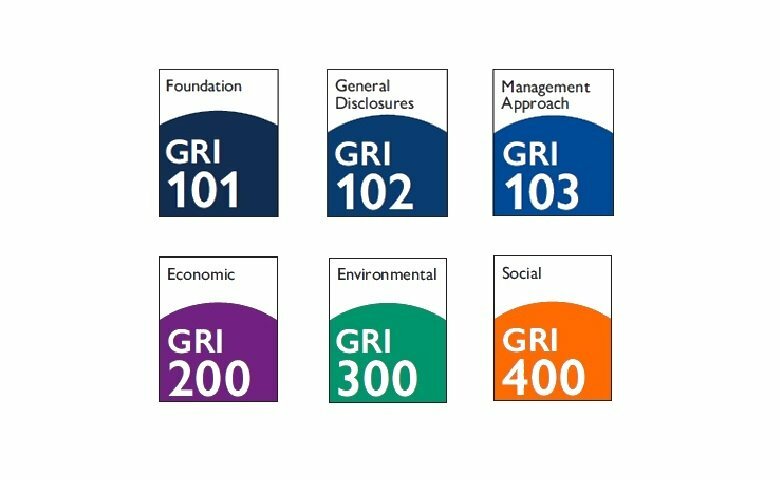 The GRI Standards are compliant with the United Nations Sustainable Development Goals (SDGs), and are well aligned, with the European NFR Directive, United Nations Global Compact and international standards, including ISO 26000, SASB and CDP. The GRI Standards are structured in such a way that recognize the value of other frameworks, work well with other current or upcoming models and enable companies to follow and disclose corporate sustainability performance as required by other local models and national legislation. Moreover, the GRI Standards lie a solid ground for the future evolution of nonfinancial reporting standards representing a comprehensive framework in decision-making, investing and business planning. Unquestionably, the depth of required data for GRI Standard reports has increased and extends beyond the company’s own operations, to cover its entire value chain and thus make sustainability more inclusive. The focus of the GRI Standards is on Materiality, where conducting comprehensive materiality assessment helps companies and organizations to identify and manage their most significant business risks and capitalize on business opportunities. The new modular structure of the Standards has clearer requirements and guidance in disclosing the operational and other activities’ impacts allowing for more consistent, higher quality and more relevant reporting. The new structure, clearer terminology and the provision for flexible reporting make it easier for a company to report on their sustainability strategy, goals and initiatives. In the new era of sustainability reporting, initiated by the GRI Standards, organisations are now called to expand the boundaries of sustainability issues and follow the principle “disclose or explain”. As we closely monitor the advancements and updates in the field, especially after the release of the GRI Standards, we have observed the substantial business value that can be attained through the efficient application of new disclosures. With the emphasis on reporting principles, strategy and a more structured and long-term approach to Sustainability, the GRI Standards has become a platform for stakeholder engagement and business tool to stay ahead of competition. Successfully implementing the requirements of the GRI Standards, Sustainability Knowledge Group has supported SMEs, companies and Group of companies, including GEK TERNA Group to successfully transition from GRI G4 to the GRI Standards and retain its competitive edge. To add significant value to your sustainability report and your business action plan, check our brochure on How we deliver excellence in Reporting based on the GRI Standards here. We also invite you to download our GRI Standards Reference Sheet here. Sustainability Knowledge Group is a global advisory firm dedicated to creating value, through strategic CSR and sustainability solutions. Sustainability Knowledge Group provides tailor-made training, coaching and advisory solutions grounded in international theory and successful application, and focuses on proven methodologies that bring tangible results, measurable impact and create better businesses.